In the era of globalization, the supply chain has grown more complex, and new technologies are being developed to facilitate global trade. Here are the top three trends that supply chain and logistics managers will need to be aware of to compete in a worldwide market. The adoption of advanced Inventory Management Systems will be necessary to avoid a surplus, remain competitive, and increase profit. An Inventory Management System (IMS) is an automated software that collects, stores, and analyses the status of a company’s inventory. The system gathers information about the state of inventory from both user input devices such as barcode scanners and Point-of-Sale (POS) devices. IMSs allow companies to track the movement of inventory in real-time, know how much inventory is available, calculate the inventory turnover rate and stock-out rate, and predict future consumer buying behaviors.IMSs also have intercompany inventory tracking applications. As inventory moves along the supply chain, companies share real-time inventory data within the supply chain network; suppliers can access the retailer’s consumer demand data to produce the correct quantity of goods. Suppliers try to avoid producing more of one good than the consumer demands because a surplus ultimately reduces the supplier’s profit. In the case of a surplus, warehousing costs increase because there is a decreased inventory turnover rate; the goods take up more space for a more extended period, and the supplier or retailer reduces the price of the products to sell them quicker. Surpluses may be conditionally beneficial to the consumer, but not the supplier and retailer. What Is the Importance of Inventory Management System in Supply Chains? The discount retail giant, Walmart, combines its IMS with its Vendor-Managed Inventory Model to keep prices low for its customers and keep a high profit-margin. The Vendor-Managed Inventory Model transfers the responsibility of inventory management to the vendor instead of Walmart itself. The vendor taps into Walmart’s inventory control systems and can access information such as the quantity of inventory on hand as well as the inventory is in transit. Walmart doesn’t need to hire and pay extra personnel to manage inventory and place orders when the stock is low.Walmart is not the only company that uses advanced Inventory Management Systems to increase efficiency. Nordstrom, an international clothing retailer, has developed an IMS to speed up their inventory turnover rate. When customers search online, the IMS uses geolocation to find the nearest brick-and-mortar store. If the item that the customer is looking for is available at a local store, then Nordstrom offers local pick-up or expedited home delivery. If the item is not available nearby, the system searches regional stores and calculates the quickest way to deliver the good to the customer. Nordstrom’s IMS must accurately keep track of the retailer’s inventory unless the entire system breaks down. What Is the Future of Inventory Management Systems? Walmart and Nordstrom demonstrate that having an advanced Inventory Management System will be vital for a company to keep their competitive advantage in 2019. Manually tracking inventory is not only inefficient, but it is also time-consuming and expensive. IMSs can collect and analyze data faster and more accurately than humans. By applying Machine Learning and Artificial Intelligence to the IMS software, business will have insights into consumer buying patterns and electronic ordering capabilities. For example, when the inventory of a particular item is getting low, the system can gauge current and past consumer buying patterns to predict future buying patterns and automatically order the appropriate quantity of goods. Why Does Supply Chain Visibility Matter? Supply chain visibility is the use of tracking and monitoring mechanisms to increase transparency and promote integrity throughout the supply chain as a whole. It requires suppliers, manufacturers, and retailers to work together and implement complementary policies and procedures. The movement towards an increase in supply chain visibility stems from the need to mitigate conflicting corporate interests as well as a rise in consumer demand for greater transparency. Conflicting corporate interests occur when one company has values and goals that are not aligned with the values and goals of another company along the supply chain. For example, a retailer may promise to deliver allergen-free goods to its customers as part of the company’s competitive advantage. The retailer buys its goods from a manufacturer who in turn buys its goods from a supplier. The manufacturer and supplier may not have the same goal to deliver allergen-free products. Therefore, the retailer requires supply chain visibility on the part of the manufacturer and supplier to deliver its promise of allergen-free goods. Consumer demand plays a significant role in the move towards greater transparency. Supply chain professionals face a continuous challenge to meet changing standards set by their customers. In a world where information is accessible at our fingertips, consumers also expect that information about the product they are about to purchase is immediately available. In recent years, consumers also expect ethically sourced products. For example, Tyson Foods, a manufacturer of chicken products based in the United States, faced jarring media coverage in 2007 following the discovery that the manufacturer’s suppliers were abusing the chickens. Following this discovery, consumers refused to buy chicken manufactured by Tyson Foods. As a result, the company was forced to implement visibility standards to meet its consumers’ expectations. What Does Increased Supply Chain Visibility Look Like? Increased supply chain visibility includes the use of technology to track and monitor the movement of goods along the supply chain. Sensors allow businesses to track the temperature and humidity levels of goods from when they leave the warehouse until they are in the hands of the customer. Sensors can also detect tampering with a product. 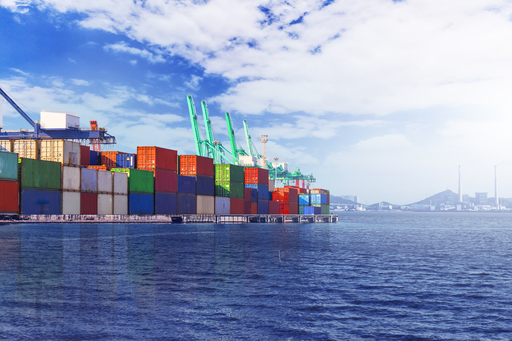 GPS devices offer real-time supply chain visibility by transmitting the location of a shipment. Barcodes are used to identify the contents of a shipment as well as allow consumers to gain valuable information about the product. In the future, consumers will be able to scan an item with their smartphone and know where the product came from, if it has been stored under appropriate conditions, and, in the case of food products, when the food is set to expire. When goods are shipped across borders, they are subject to the receiving country’s customs declaration process. 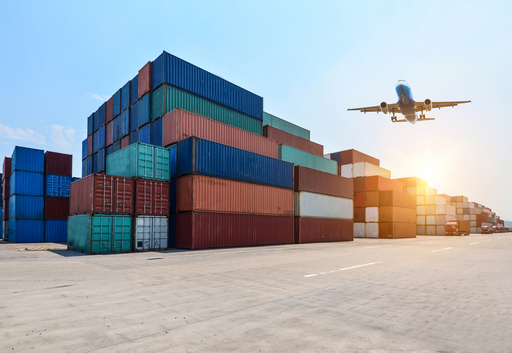 Customs agents verify that appropriate import taxes and tariffs have been paid on the assets and that the shipment does not contain illegal or restricted goods. The verification process currently requires several documents stating the origin and contents of the goods as well as proof of payable taxes and tariffs. These documents are prepared by the supply chain logistics manager and are distributed to the shipping companies as well as import and export brokers. Each time that these documents change hands, there is an opportunity for the documents to be altered or lost, causing significant delays which can affect the entire supply chain. How to Expedite the Customs Declaration Process? Blockchain, a distributed ledger technology, can help expedite the customs declaration process by using a tamper-proof, record-keeping system to transmit necessary documents to customs agents. Records created on the Blockchain must be deemed accurate by passing a consensus protocol. For example, when taxes and tariffs are paid, the transaction is recorded on the Blockchain. The increased transparency allows the customs agent to expedite the shipment. Companies will need to adopt a blockchain-powered logistics system to compete in the global market.NeuroChain, the next-generation of blockchain technology, will be better suited to facilitate an expedited customs declaration process as well as integrate the use of Inventory Management Systems. NeuroChain can be deployed on a global scale while the current-state of blockchain technology has a limited processing speed. In order to support the hundreds of organizations that may be involved in a single shipment, companies will need to adopt NeuroChain, a scalable and more efficient renovation of the blockchain. Photo credits: freepikFollow us on Telegram, Facebook, Twitter, and YouTube. If you have any questions, feel free to get in touch with NeuroChain Team, and we will answer you as soon as possible!